How Hard Is It to Convert Auto to Manual? 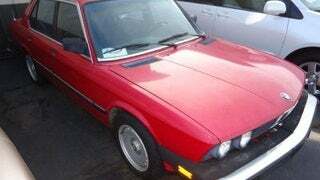 I'm casually looking for a late-80s e28 535, manual. But the crop is super thin for e28s in general, and manual e28s in particular. for around $4-5K for a decent one, instead of the $9k or so for the rare manual.